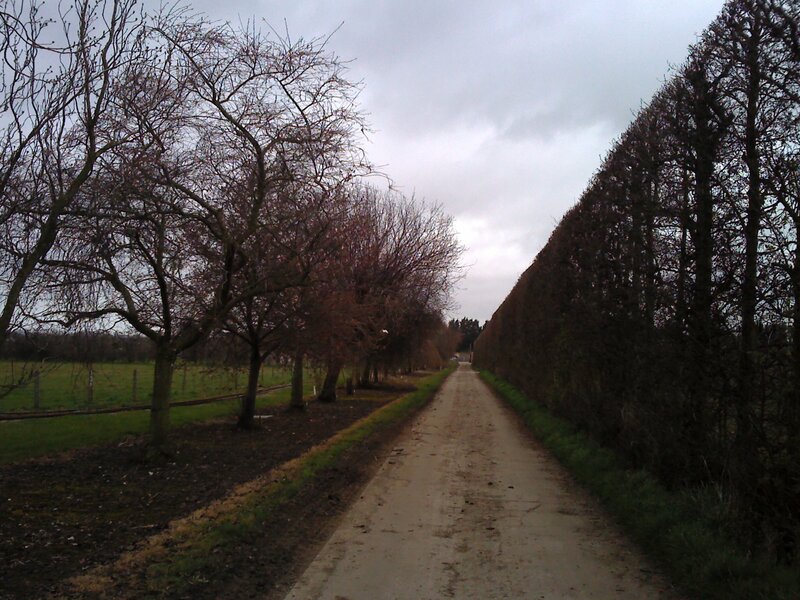 Last month I spent an overcast spring day at the National Fruit Collection, Brogdale Farm, near Faversham in Kent. It was supposed to be the height of the blossom season, but most of the trees were holding on to their winter bareness until the weather improved. 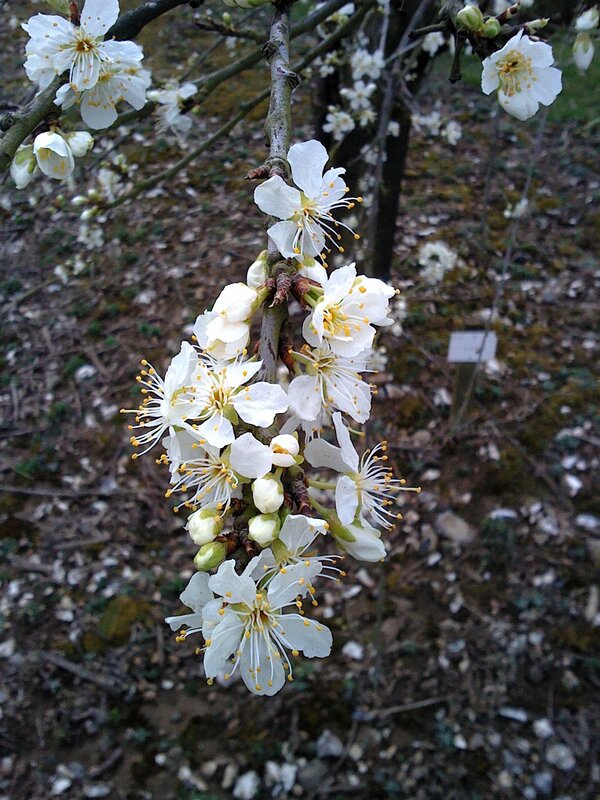 I was there to lead a couple of haiku walks – the idea was that we’d write poems about the abundant blossom, but what we actually wrote about was the late arrival of spring. I was there with Luke Allan, who works as Alec Finlay’s studio manager. 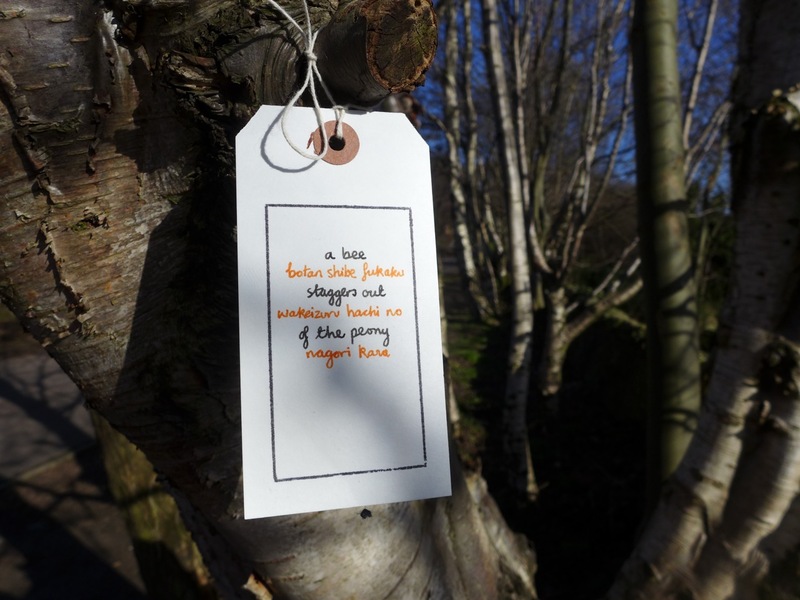 Luke was there to install and photograph poem-labels for a project of Alec’s called The Bee Bole, and here all the poems were variants on Basho’s famous haiku about a bee leaving a peony-flower. You can see all the poems here. Below is a sequence of haiku, featuring some of the names we came across (four trees and a beer).